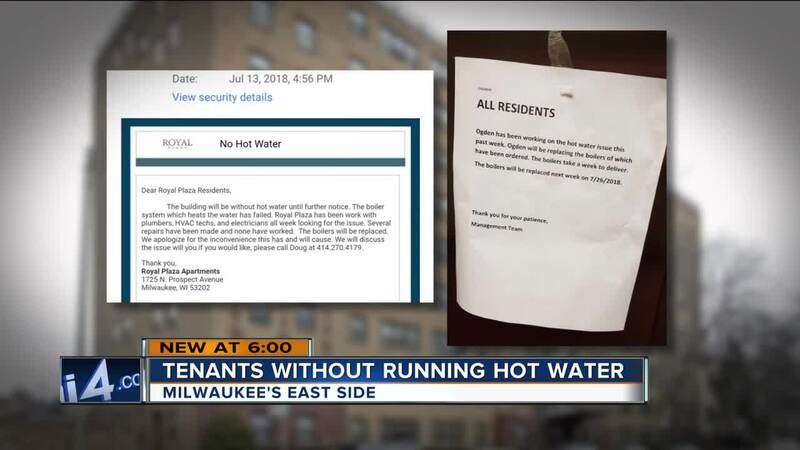 The Royal Plaza apartment building off North Prospect Avenue hasn’t had hot water since around the July 4th holiday, according to tenants. “It’s frustrating it doesn’t feel like the tenants have any rights,” said tenant Alyssa Hoekstra, who contacted the city with her complaints. Hoekstra has been doing laundry at friend’s places. She said many tenants have been boiling water in order to do dishes or clean themselves. One man told TODAY’S TMJ4 he hasn’t had a hot shower in two weeks and that his wife goes to a local gym to shower. 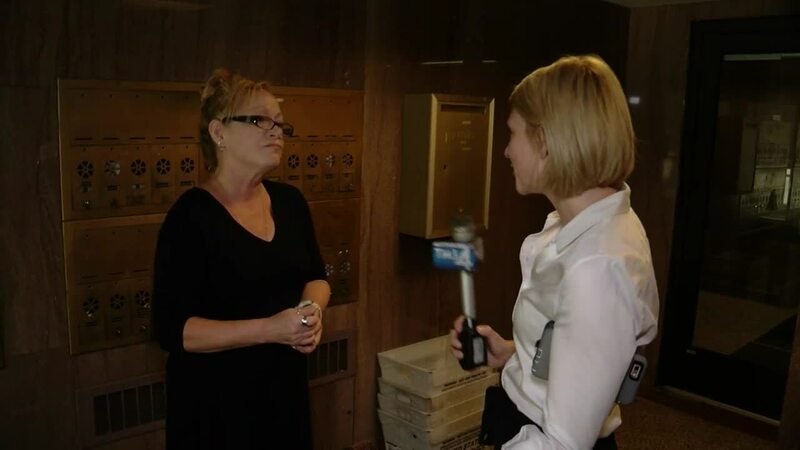 “I think there definitely could have been some more proactive moves made to ensure that the tenants here, especially the elderly tenants here and those with families, have access to hot water,” said tenant Joshua Sevigny. Royal Plaza’s on-site manager confirmed the problem is broken boilers, which the management team said it's replacing next week. When asked why it took so long, Hayes explained they were trying to pinpoint the problem. “We thought this was an electrical problem and it came down to being a boiler problem,” said Michelle Hayes, the on-site manager. Hayes said the new boilers will be replaced on July 26. “I can understand how people feel,” Hayes said. The property manager for Royal Plaza, Ogden, confirmed Milwaukee’s Department of Neighborhood Services is involved and that tenants will be reimbursed for the inconvenience. It’s unclear how much rent money tenants will recover. All but two units are one-bedroom apartments and tenants said they pay $700 to $800 a month. Tenants living in the two-bedroom units pay $1,100. We first received notice of the situation via tenant complaint on Monday. The inspector went to the property this morning and verified there was no hot water. A technician was on site making repairs and one boiler was up and running as of 11:15 a.m. The water temperature was tested in three different units and some hot water was restored to the building. The inspector did issue orders to the property owner to restore service/equipment to proper working condition. Orders are due to correct by July 20. Additionally, the inspector provided information to tenant complainants about rent abatement assistance available through Community Advocates. The inspector will continue to work with the complainant tenants and the property owner to ensure that the issues are resolved in a timely manner.